"Defined by Service and Quality"
Industrial Electro Mechanics is defined by service and quality. 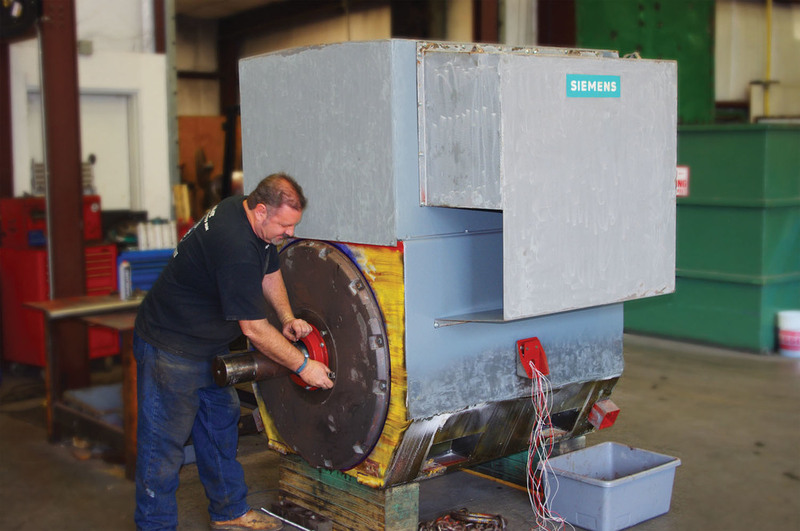 Locally owned and operated in Savannah, IEM has been a leading provider of motor repair, rewinding, and machining since 1995. IEM takes pride in being an industrial services company that provides solutions to keep your business running reliably. Whether in-shop or in-field, our EASA-trained technicians provide the highest level of repair services to get your business back on track. At IEM, we believe that your business is our business and we understand the need for reliably functioning equipment to keep your business on track. Our experienced technicians rely on advanced technology and vast technical knowledge to provide the highest quality service available whether in our shop or in-the-field. To better serve our customers with the highest quality products, we offer new product sales for motors, gearboxes, pumps, power apparatuses and drives. We realize that at times it is more economical to replace rather than repair a piece of equipment, so we maintain a large stock of a variety of products to keep your business running. Committed to providing the same great service in-the-field as in-house, our technicians at IEM know some repairs are needed right away and do not have the luxury of being sent to a shop for repairs. When that happens, it’s time to rely on IEM field services to get your equipment back up and running quickly.